With many parts of the country experiencing extreme and unusual weather this spring, it seems to be a good time to talk about the best types of horse feed and supplements to help horses cope with this kind of unexpected weather. Horses seem to be dealing either with hot dry weather or cold damp conditions. Both of these extremes can definitely affect your horse’s health. Luckily, you can prevent health problems by having a flexible feeding program tailored to weather conditions. Offer Electrolytes: Horses keep cool by sweating and their need for salt and electrolytes is related to the amount they sweat. Sweat evaporates quickly in low humidity, often leaving a salty residue on dry skin. Electrolytes are important under these conditions. It’s important to give your horse electrolytes before dehydration occurs. Salt blocks and loose salt will meet the needs of most horses at rest, but if your horse is going to be working or stressed in any way it is a good idea to give a good commercial electrolyte beforehand. Boost Gut Health: Feeding pre- and probiotics daily will support the healthy bacteria in your horse’s gut and this will keep the digestive tract functioning well during hot weather. Acidophilus and bifidus from Simplexity Health work well, as does KLPP from KAM. Pre-Pro from Arenus/Equilite is also a good supplement that promotes gut health. Reduce Hay and Increase Cooling Foods: Normally I am a fan of free choice hay but during very hot weather it may be necessary to cut back on hay to decrease the heat generated by its fermentation in your horse’s gut. Cutting back on grass hay and adding a flake of alfalfa will give your horse the calories and fiber he needs without producing as much heat during digestion. Other cooling foods can be fed in moderation, including apples, watermelons, citrus fruits, blue-green algae, wheat and barley grass. Water: Horses need to be able to drink deeply during the heat. I prefer using five-gallon buckets or troughs rather than automatic watering systems since these systems don’t allow me to monitor a horse’s water intake. Plus, some horses like to take deep drinks rather than sip their water, and most automatic water systems force horses to sip water. Keep the water as cool as possible as this will help your horse cool down when he drinks and also encourage him to drink more. If your horse is coping with unexpectedly cool damp weather, he will need extra care and feeding. Damp weather tends to produce lush grass, which can lead to a horse who is overweight and underworked. The end result could include colic, hoof soreness, or laminitis. To avoid these problems, here are some changes you can make to your horse’s management program. Balance the Gut: Any extreme change in weather can affect your horse’s gut health, which in turn affects your horse’s overall health. To keep your horse’s gut balanced, support the digestive tract by feeding prebiotics and probiotics on a daily basis. Examples of prebiotics include KAM KLPP and PrePro. Probiotics include acidophilus and bifidus. Some horses also need digestive enzymes to ensure that feed is properly digested before it reaches the large intestine. Simplexity Health’s Essentials provide a convenient source of probiotics, enzymes, and chlorophyll-rich food. Add Antioxidants: If you plan to work your performance horse under adverse weather conditions, you will want to supplement his diet with antioxidants. 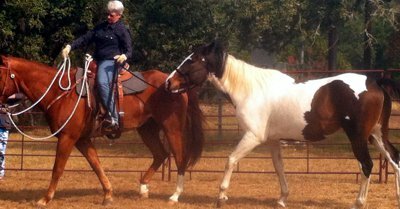 Extreme weather creates added stress in working horses, which tends to generate free radicals. Unless the free radicals are eliminated from your horse’s system with antioxidants, he can become stiff and sore. Natural antioxidant sources include wheat sprouts and coenzyme Q10 (Simplexity), mangosteen juice, and noni juice. Being flexible when it comes to horse feed and supplements can go a long way toward keeping your horse healthy and happy in unusual weather conditions. You have probably noticed that the basics of keeping your horse healthy are similar regardless of whether you are coping with hot dry conditions or damp cool weather. That’s because a solid nutritional foundation doesn’t really change. Adapting to circumstances is more a matter of tweaking the feeding program rather than making drastic changes. If the thought of adjusting your horse’s diet appropriately to meet different situations makes you nervous, just relax! The Horse Harmony Feeding Guide is just the cookbook you need! This guide has more than 50 pages of recipes that are easy to follow.